Traceable calibration of test and measurement equipment is a requirement of the ISO 9000 series of standards. 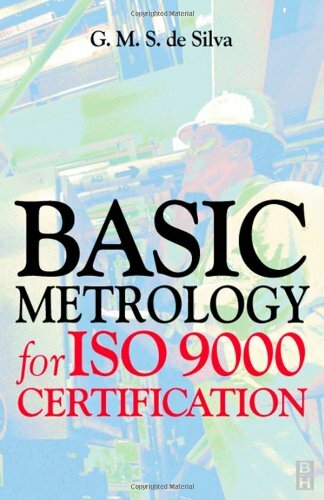 Basic Metrology for ISO 9000 Certification provides essential information for the growing number of firms registered for ISO 9000. Dr. G.M.S. de Silva who has a lifetime of experience in metrology and quality management fields condenses that knowledge in this valuable and practical workbook. The book provides a basic understanding of the principles of measurement and calibration of measuring instruments falling into thefollowing fields; Length,Angle, Mass, Pressure, Force, Temperature and AC/DC Electrical quantities. Basic concepts and definitions, ISO 9001 requirements and uncertainty determinations are also included. Includes worked examples in the text and solutions to problems which can be compared to real life situations. Includes basic metrology principles and data that will be useful to test and calibration personnel in their day to day work. I could not have been more disappointed in the quality of the writing and content of this book. 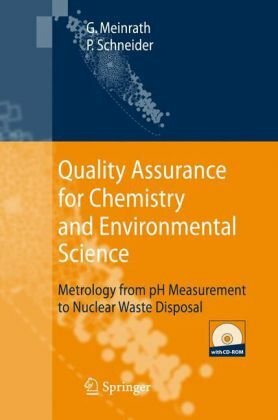 This book covered a huge body of knowledge, unfortunately it only skimmed the surface on almost all topics.The measurement uncertainty section is particularly weak.As stated in a previous review the author uses questions and quotes standards excessively which makes the book difficult to read. The Metrology Handbook is definately not designed as reference material for someone working in the quality field. I was repeatedly surprised at how poorly this book is written and edited.I'm not even sure where to start.The writing is terrible.Bucher's name is the credited author of the majority of the chapters.Bad idea Jay ... let the writers write.Large sections of his chapters are wholly quoted from other authors and industry standards.It's cumbersome and annoying.An author is supposed to strain the key points from standards and explain them in meaningful ways.I could have just bought the standards and read them myself. His use of questions to introduce a topic is intensely distracting.He literally blows out 8 to 10 questions in a row without saying a thing.Whole paragraphs were only questions with no answers .... When sprinkled in, that technique is effective, but I assure you, its overuse will drive you up the wall in this book. Maybe the really problem here is my concept of what THE Metrology Handbook should look like.Metrology is arguably the cornerstone discipline of quality and reliability engineering.And in recent decades, no one has stepped forward to edit and publish a handbook on the topic - and it certainly deserves one.So I will credit Bucher for his willingness.But to approach the topic with eighth-grade writing is shameful. The Metrology Handbook should be an institution for the generations like Mark's Handbook for Mechanical Engineers or the Machinery Handbook.Teary-eyed grandfathers should hug their granddaughters on graduation day, and hand them their first Metrology Handbook. (I'm a little choked up just thinking about that. 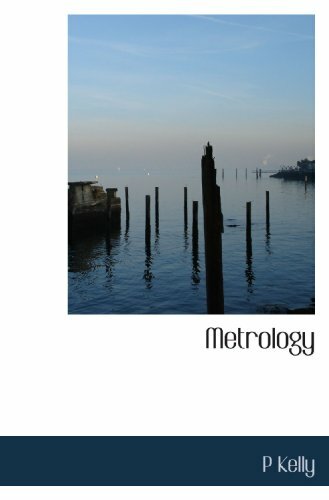 )The Metrology Handbook should be an honorable tome.This book is far from that. And where was the publisher?The American Society for Quality checked out on this one.With `Quality' in your name publishing a topic like metrology ... this book should be nothing less than excellent.Only the best managing editors and contributing authors should have been selected.And it should have been peer-reviewed.ASQ has published excellent books for many years.They could publish a better book than this with one-hand tied behind their back.What happened??? P.S. I'd bet my left pinky toe that the first reviewer was paid to write those glowing comments.Way to hit the keywords big guy! Yes! 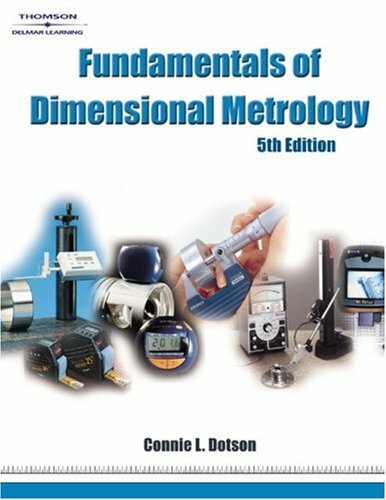 There is better information at internet for free about metrology.This book provides very general information and its mathematical level is for high school students, not metrologists.Do not waste your money. Knowledgeably compiled and skillfully edited by Jay L. Bucher (Manager of Metrology Services, Promega Corporation, and President, Bucherview Metrology Services), The Metrology Handbook is an impressive and complete introduction that begins with the history and philosophy of metrological calibration, then proceeds to extensive presentations on "Quality Systems"; "Metrology Concepts"; "Mathematics and Statistics: The Use in Measurement"; "Uncertainty in Measurement"; Measurement Parameters"; and "Managing A Metrology Department or Calibration Laboratory". 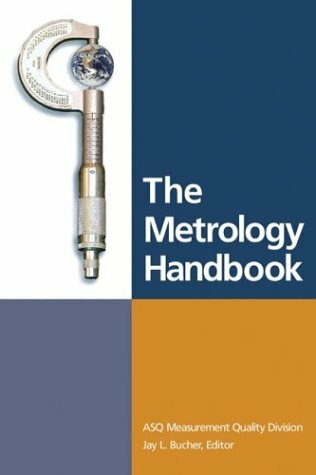 A core and seminal addition to professional and academic library collections, The Metrology Handbook is enhanced with a listing of professional associations, an article on "ASQ and Certification"; a glossary of meterology and classification terminology; "Common Conver-sions", and an accompanying CD. From a hobbyist's perspective this is a great text on precision measurement. Written in the sixties, it covers all of the now affordable tools and techniques that were once state of the art. For a student or professional however, as other reviewers mention, it does not address more contemporary tools and standards. The author writes clearly and builds each chapter in a logical way from concept to well-illustrated actual tools. 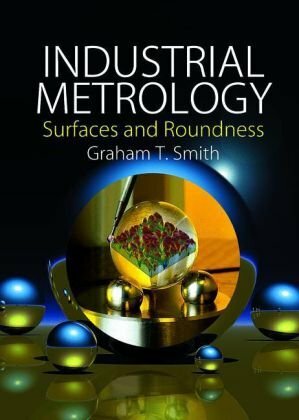 If you want to have a working knowledge of verniers, micrometers, indicators, levels, surface plates, gauge blocks etc, this is the book for you. Can someone please write a better book! This book needs to be completely scrapped and rewritten from scratch by someone who reads their own definitions and illustrations.Example:The definition of "resolution" refers to hand width at one point, to band width at another point, and the drawings contradict both of these. A plea:Would someone who has experience in the field please write a better book? As an ASQ certified Mechanical Inspector and Quality Technician, I would like to say that; This text is a fine resource for any person working in the metrology field. It covers a wide range of topics and is well worth having. Written in a style that is both informatve AND interesting. I was well pleased with this book. New material on computerized optical processes, computerized ray tracing, and the fast Fourier transform, Bibre-Bragg sensors, and temporal phase unwrapping. * New introductory sections to all chapters. * Detailed discussion on lasers and laser principles, including an introduction to radiometry and photometry. * Thorough coverage of the CCD camera. This book is divided in to three primary parts. The first part describes the rigorous methods and theory necessary to develop a functional size measurement. The second part discusses the limitations of functional size measurements and measures, such as the IFPUG function points, and the Use Case Points. The third part provides an illuminating inside story into the nuts to bolts development of the COSMIC functional size measurement (FSM). 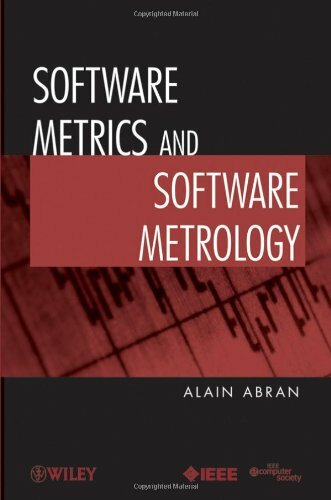 I'm what the writer refers to as a practitioner, and as a practitioner, or software cost estimator, I thoroughly enjoyed the content of this book. The ideas and concepts were logically presented, and the material on COSMIC very much supplements the available material on the public domain site [...]. This book has given me a new found respect for COSMIC. The challenge that all software cost estimators face with using functional size measurement is the fact that the majority of entities in the world are at CMMi level 2 or lower. What this means is that the functional user requirements that are critical to the successful development of FSM are less than optimal, and thus presents a challenge to the practitioner in developing a valid and defensible cost estimate of a software intensive system. There needs to be a way of coming up with backfired COSMIC points, so that there can be an automated way of backfiring these points much the same way as has been done with the unadjusted IFPUG function points. The simplicity and mathematical compatibility of the way the metrology is designed into COSMIC should, along with the contents of this book would be perfect ingredients for a software designer to come up with a computer software algorithm that can automatically calculate COSMIC function points. In my opinion, the lightness of the Agile methods, and as a result the simplified yet compelling written use cases are capable of being translated into COSMIC function points better than the IFPUG unadjusted function points. The field of optical metrology offers a wealth of both practical and theoretical accomplishments, and can cite any number of academic papers recording such. 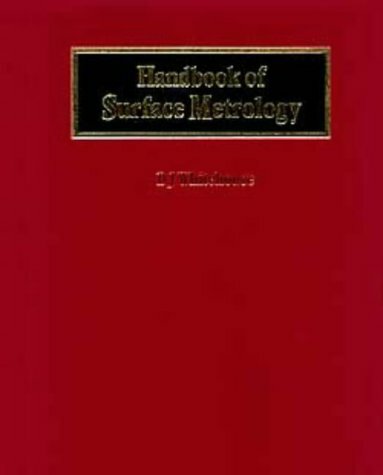 However, while several books covering specific areas of optical metrology do exist, until the pages herein were researched, written, and compiled, the field lacked for a comprehensive handbook, one providing an overview of optical metrology that covers practical applications as well as fundamentals. 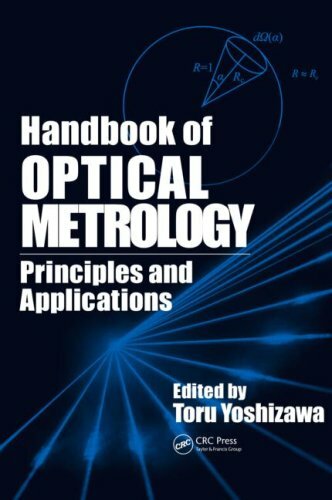 Carefully designed to make information accessible to beginners without sacrificing academic rigor, the Handbook of Optical Metrology: Principles and Applications discusses fundamental principles and techniques before exploring practical applications. With contributions from veterans in the field, as well as from up-and-coming researchers, the Handbook offers 30 substantial and well-referenced chapters. 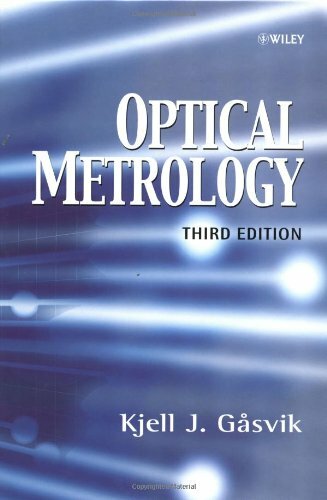 In addition to the introductory matter, forward-thinking descriptions are included in every chapter that make this a valuable reference for all those involved with optical metrology. 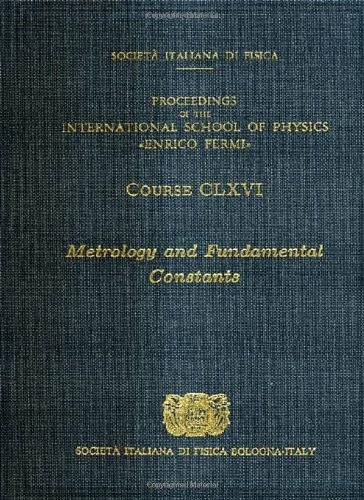 This volume can be justified by the following three facts, the need to provide, from time to time, a co-ordinated set of lectures which present the relevant progress in Metrology, the increasing intertwining between Fundamental Physics and the practice of Metrological Measurements, and, third, the flurry of new and unexpected discoveries in this field, with a correlated series of Nobel Prizes bestowed to individuals working in Fundamental Constants research and novel experimental methods. 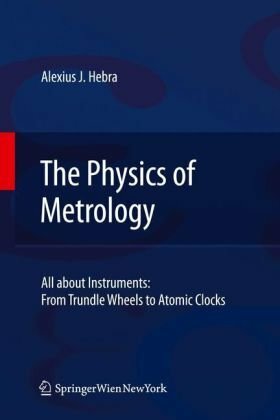 One of the most fascinating and exciting characteristics of metrology is its intimate relationship between fundamental physics and the leading edge of technology which is needed to perform advanced and challenging experiments and measurements, as well as the determination of the values and interrelations between the Fundamental Constants. In some cases, such as the caesium fountains clocks or the optical frequency standards, the definition of the value of a quantity is, in the laboratory, in the region of 10-16 and experiments are under way to reach 10-18. Many of these results and the avenues leading to further advances are discussed in this volume, along a major step in metrology, expected in the near future, which could change the 'old' definition of the kilogram, still based on a mechanical artifact, toward a new definition resting on a fixed value of a fundamental constant. IOS Press is an international science, technical and medical publisher of high-quality books for academics, scientists, and professionals in all fields. A much-needed source of reliable, up-to-date information. 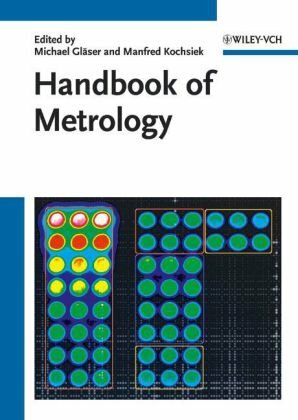 In two easily searchable volumes, the Wiley Handbook of Metrology provides a balanced overview of the fundamentals and specialized areas, as well as recent advances in this continuously evolving field. Conceived as a reference manual for practicing engineers, instrument designers, service technicians and engineering students. The related fields of physics, mechanics and mathematics are frequently incorporated to enhance the understanding of the subject matter. Historical anecdotes as far back as Hellenistic times to modern scientists help illustrate in an entertaining manner ideas ranging from impractical inventions in history to those that have changed our lives. Metrological concepts like traceability or measurement uncertainty form important parts of international treaties and normative documents. Their applications e.g. in chemical or food analysis or in environmental monitoring are entering our daily life. The development of those concepts has been driven by demand on a world-wide scale from trade, industry and the legal systems. In the future, no chemist, geochemist, chemical , civil or environmental engineer and no other specialist dealing with chemical measurement data, and no decision maker, neither in trade and industry, in public or medical services, in the political and diplomatic arenas or in academic research can afford not to become acquainted with metrology, its concepts and impact. 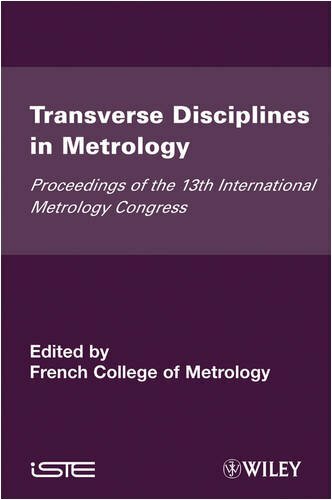 This book provides a basic overview over the relevant metrological concepts like traceability, ISO uncertainties or cause-and-effect diagrams. The applications described in great detail range from progression-of-error type evaluation of the measurement uncertainty budget to complex applications like pH measurement or speciation calculations for aqueous solutions. The consequences of a measurement uncertainty concept for chemical data are outlined for geochemical modeling applied to transport in the subsurface and to nuclear waste disposal. Special sections deal with the deficits of existing thermodynamic data for these applications and with the current position of chemical metrology in respect to other quality assurance measures, e.g. ISO 900x, GLP, European and U.S.-American standards. The CD-ROM accompanying the book provides two illustrative programmes (for IBM PCs and derivatives; with manuals and example data sets) and important official documents and guides in PDF format. The scales involved in modern semiconductor manufacturing and microelectronics continue to plunge downward. Effective and accurate characterization of materials with thicknesses below a few nanometers can be achieved using x-rays. 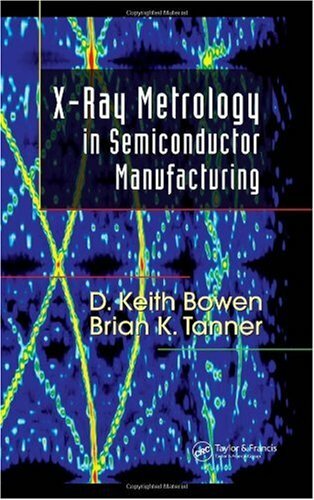 While many books are available on the theory behind x-ray metrology (XRM), X-Ray Metrology in Semiconductor Manufacturing is the first book to focus on the practical aspects of the technology and its application in device fabrication and solving new materials problems. Following a general overview of the field, the first section of the book is organized by application and outlines the techniques that are best suited to each. The next section delves into the techniques and theory behind the applications, such as specular x-ray reflectivity, diffraction imaging, and defect mapping. Finally, the third section provides technological details of each technique, answering questions commonly encountered in practice. The authors supply real examples from the semiconductor and magnetic recording industries as well as more than 150 clearly drawn figures to illustrate the discussion. They also summarize the principles and key information about each method with inset boxes found throughout the text. 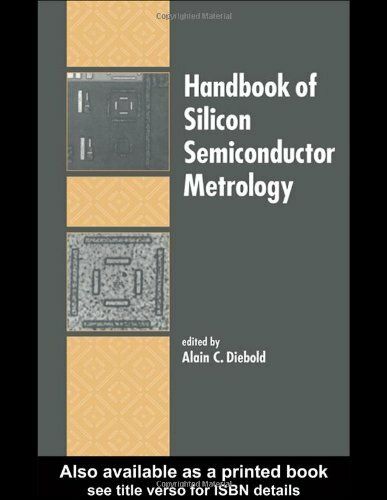 The best book on semiconductor metrology.